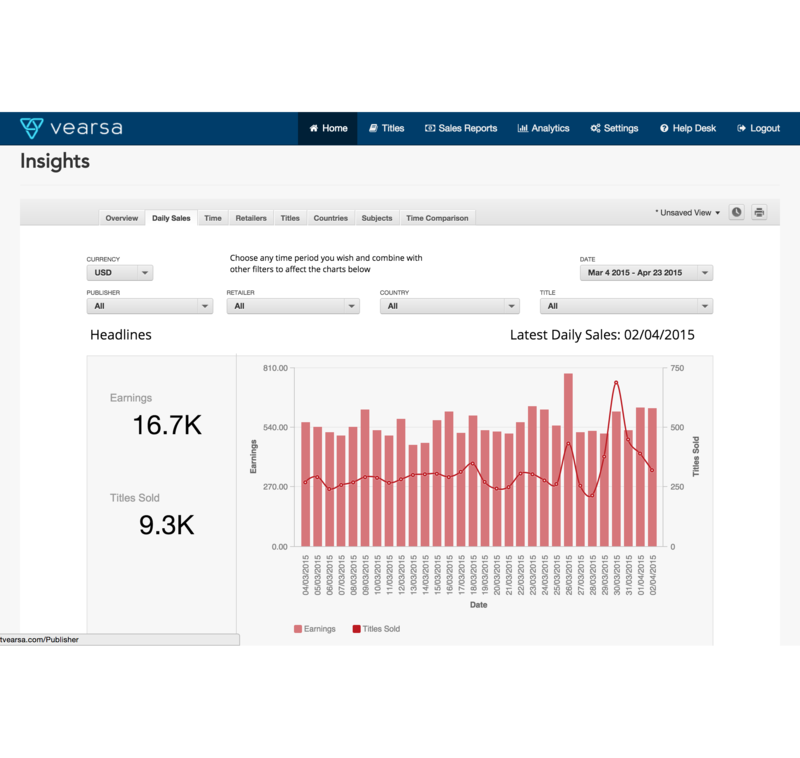 From sales report consolidation to in-depth sales analysis, Vearsa Analytics has got you covered. In an increasingly global and complex eBook market one of the main challenges publishers face is managing and reconciling dozens of sales reports each month. How do you account for different currencies? Different business models? Periodic payments? Worry no more. 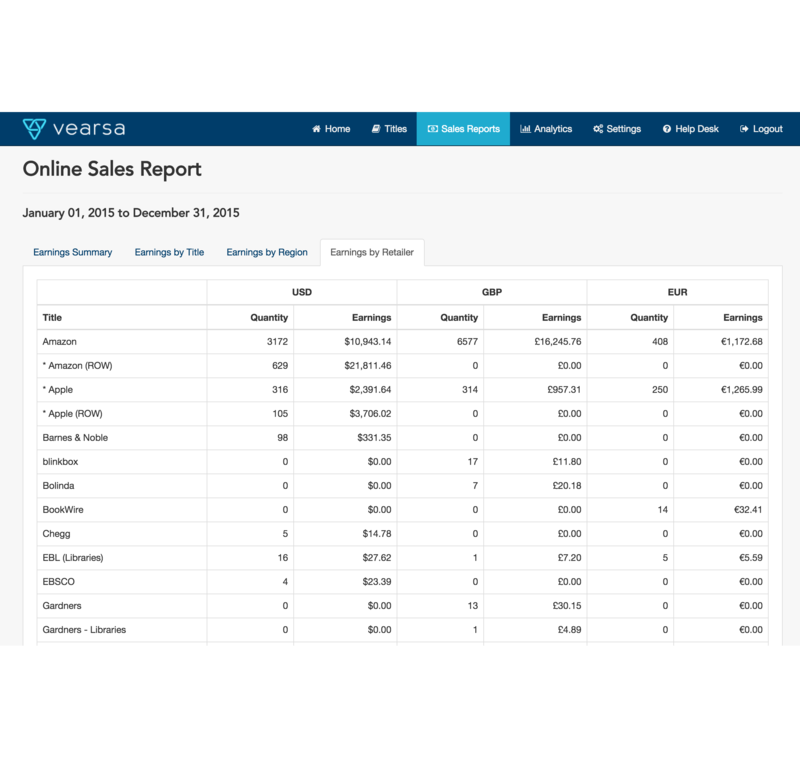 Vearsa Analytics consolidates all your sales reports in one place and allows you to mine your sales data for key insights to give you a competitive edge. Manage all your digital sales reports and business models in one easy to use system. Don’t wast time playing around with Excel or pivot tables. Just log on, view and download. Never be caught out for that report for the board meeting or the data for that pre-acquisition call. 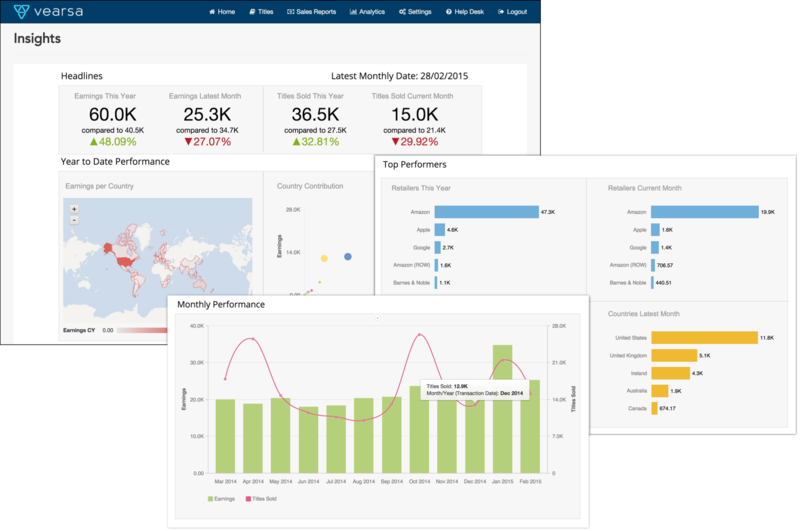 Vearsa Analytics puts all your sales at your fingertips. Anytime, anywhere. Daily sales reporting from all the major retailers. Previously you had to wait up to 90 days to measure the effectiveness of a marketing campaign. Develop tactics to reduce reliance on select channels. Your future lies in ensuring your titles are available in as many markets as possible. Accessing new markets is one thing, but understanding what works and what strategies have impact is another. 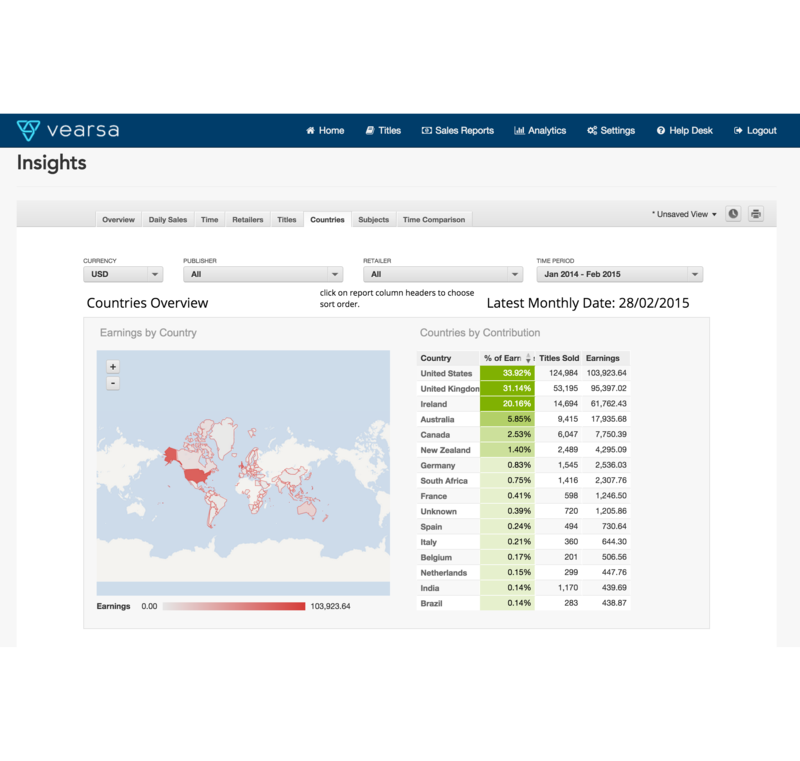 Use Vearsa Analytics to leverage your data to maximize new opportunities. Drill down through your data to find the details that really matter. 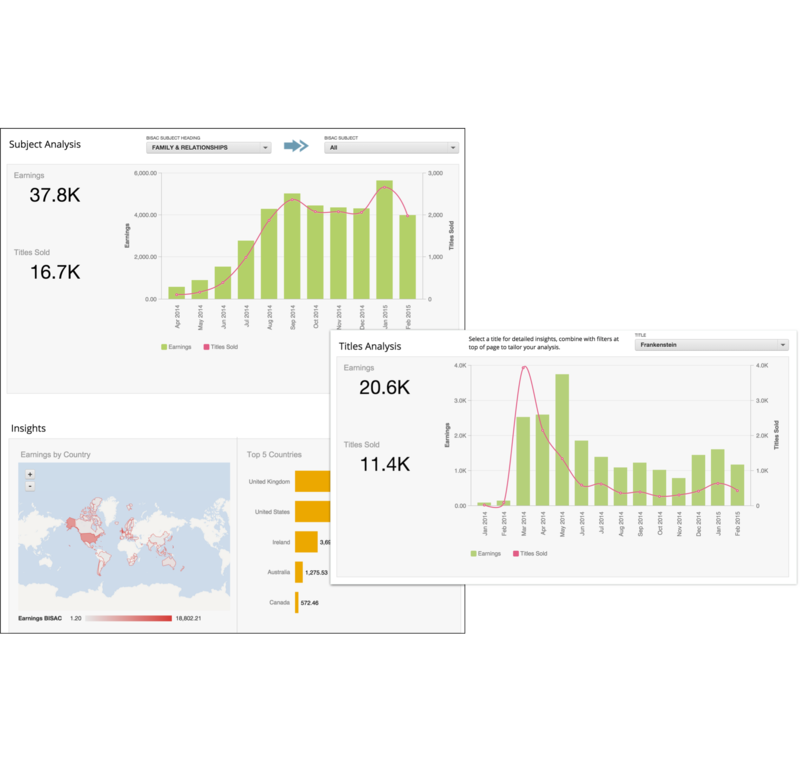 Drive your eBook business through actionable insights. Identify high potential niches and strategically build your list.